Borough Wines began life as a small stall on London’s Borough Market in 2002. Today there are six Borough Wines SHOPS London-wide, with a seventh due to open in the seaside town of Hastings in summer 2015. 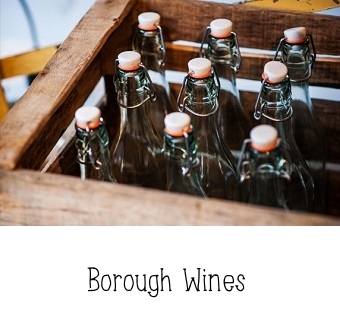 Borough Wines wholesale arm EXPRESSION DU TERROIR supplies the on-trade and independent retailers, including over ten Borough Wines Corners nationwide. The range is still handpicked, but it has grown quite a bit and now boasts an enviable selection of local and international craft beers and boutique spirits, as well as over three hundred wines, including a number of natural, organic and biodynamic bottles. Borough Wines also pioneered the environment (and wallet!) friendly wine and beer refill system.